I had to laugh when I arrived home to see this lying on my bed. A magazine open on the Garnier add with the real size product just sitting there. My mum had seen this ad and went to buy me the product as it is 100% relatable to me. Are you like me and take your makeup off in bed? Yes I know that this sounds terrible but at least I don’t sleep with my makeup on! 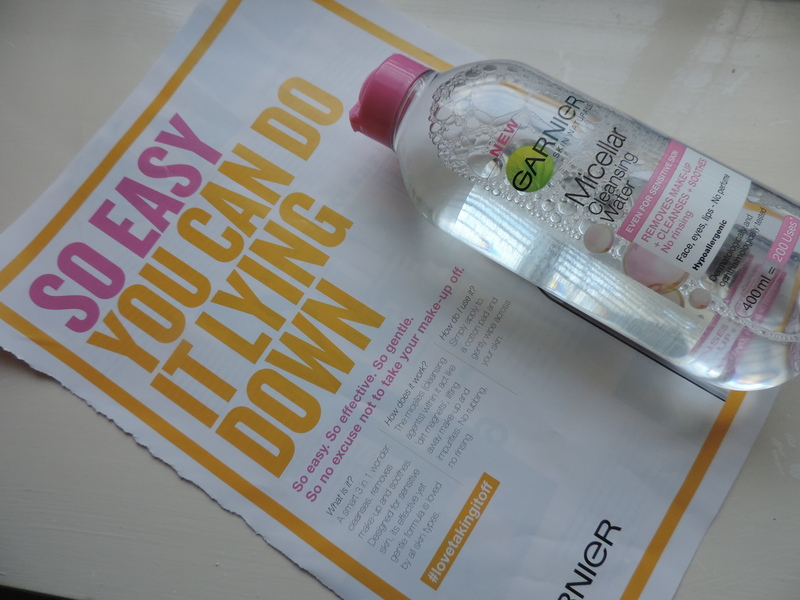 ‘So easy you can do it lying down’ – this ad is perfect for me and really caught my attention so I just had to try the product. Mum picked up Garnier Micellar Cleansing Water in Penney’s for €6.29. A steal for a cleansing product some might say. With a catchy advertisement it’s time to see did this product live up to it’s hype. I prefer gel cleansers so on the first time using this product I cleansed my face as normal then put Garnier Micellar Cleansing Water on a cotton pad and gently wiped across my face. Even though I cleansed as normal there was still residues of makeup on my skin. I loved the feel of this product on my first use so the next night I tried using it on it’s own. The texture is different to what I am used to as it is a cleansing water but I found it really good. I wouldn’t use this product every night as my main cleanser but I have to say it is brilliant for getting excess makeup off and it is really kind to sensitive skin like my own. The bottle is 400ml which means 200 uses – what’s not to like? The micelles (cleansing agents) within the product act like ‘dirt magnets’, lifting away make-up and impurities. 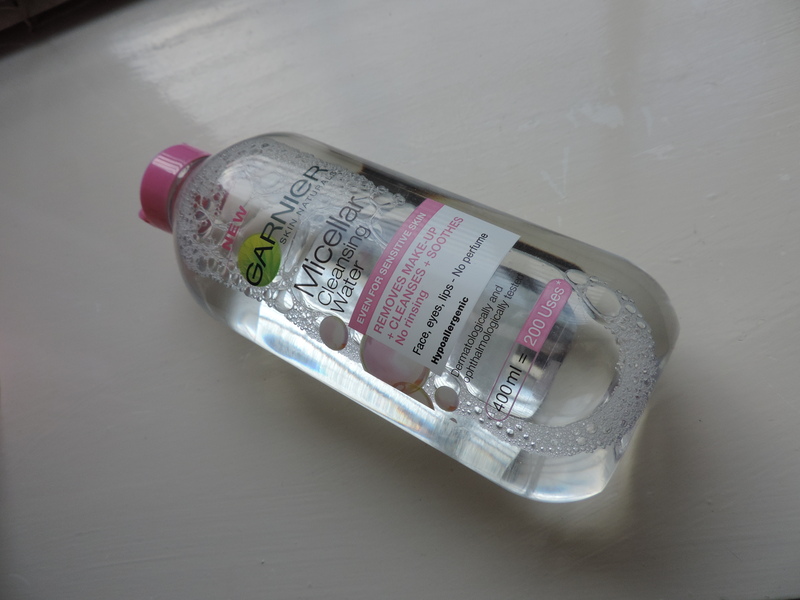 No rubbing or rinsing needed with Garnier Micellar Cleansing Water so it does exactly what it says in their ad and you can do it from the comfort of your bed. I like to take good care of my skin but from time to time I am lazy when it comes to cleansing. After a night out arriving home at 3am the last thing I want to do is spend 30 minutes cleansing so whatever is quick and easy for me works. I use Cetaphil cleanser and I love it. It is my godsend and cannot live without it. I can’t use face wipes as I had a bad reaction before and the thoughts of going through that scare me. This product is fragrance free and leaves your skin feeling fresh. I would love to use this product after a long-haul flight as it would really give your skin that fresh feeling. So really now there is no excuse not to take your make-up off! Mine sits nicely right beside my bed! Have you tried Garnier’s new product? 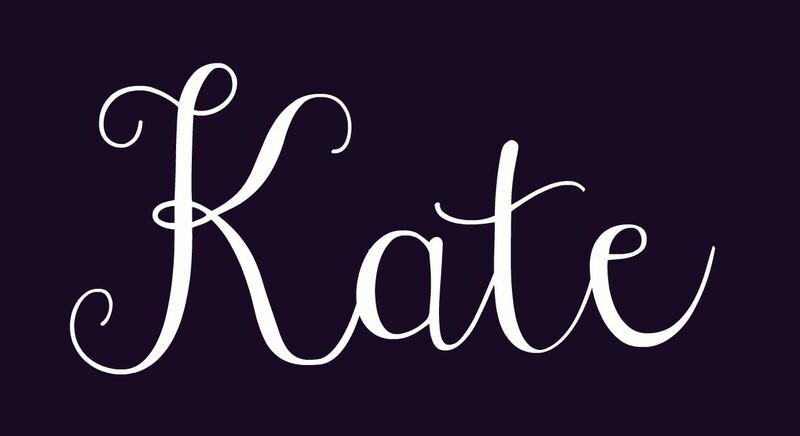 Posted in Must Have Items, Skin CareTagged Cleanser, Garnier, Garnier Micellar Cleansing Water, Make-up, Make-up remover, new product, Taking make-up offBookmark the permalink.